The WESNET Safety Net Australia project was established in 2011 to examine the intersection of technology and Violence Against Women (VAW). WESNET works closely with the US Safety Net Project run by the National Network to End Domestic Violence (NNEDV). Work with communities and agencies to address how ongoing and emerging technology issues impact the safety, privacy and accessibility rights of victims of domestic violence, sexual violence and stalking. Educate a wide range of community agencies who work with women experiencing all forms of violence on ways to use technology strategically to help find safety and escape domestic violence, dating violence, sexual violence, stalking and abuse. Advocate for strong local, state, national and international policies that ensure the safety, privacy and rights of all victims and survivors of gender-based violence. To achieve these objectives, Safety Net Australia provides a wide range of trainings, technical advice, and policy guidance on the topics of technology safety, investigating and evidence collection, and victim privacy and security rights. Trainings – Learn more about the types of trainings we offer. Technical advice – We welcome front-line support workers, investigators, legal professionals, academics, policymakers, and others to contact us for more information on technology-facilitated abuse. Contact us to request a training or for more information about technology safety and violence against women. Resources and information – We have a wide range of resources and handouts on technology-facilitated abuse and are constantly developing new resources to address emerging issues. Check out our resources and contact us if you have more questions. Our project is based on the US-based NNEDV Safety Net Project which provides engaging and interactive trainings, resources and policy assistance in ways that both tech-savvy and non-techie audiences can understand. Safety Net Australia is a project of the Women’s Services Network (WESNET). 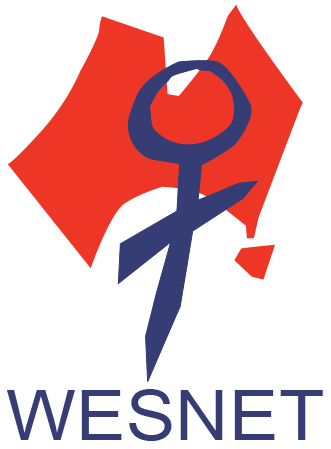 Established in 1992, WESNET is a national women’s peak advocacy body which works on behalf of women and children who are experiencing or have experienced domestic or family violence. With almost 350 members across Australia, WESNET represents a range of organisations and individuals including women’s refuges, shelters, safe houses and information/ referral services. Through its Canberra based National Office and Secretariat, and via its large national network of members and associate members, WESNET plays an important role in identifying unmet needs, canvassing new and emerging issues, facilitating policy and sector debate and lobbying government to provide improved responses to the problem of domestic and family violence. We do this within our communities, and in partnership with non-government stakeholders. Learn more about WESNET and its projects. SafeConnections is an award-winning project with WESNET Safety Net Australia and Telstra to provide free, safe mobile phones to survivors of domestic and family violence, sexual assault, and other forms of violence against women. When survivors are experiencing abuse, having access to safe ways to connect with services and loved ones is crucial. Telstra is meeting this need by donating 20,000 smartphones with pre-paid credit and WESNET Safety Net Australia, with funding from the Australian Government, is supporting this effort by distributing the phones and providing information on safe use of technology. Learn more about the SafeConnections project here.